Located in the Devonshire Quarter, the Old House is said to be have been the original town house of the Duke of Devonshire (circa 1800’s) – hence the name. The original features like the porch-way dome and Georgian exterior have all been emphasized with period colours but the rest of the decor is pretty much a selection of rammel and paraphernalia that we like; from old vinyl sleeves and kitsch ornaments to chintzy plates and plastic pineapple ice-buckets. The indie-rock and roll bar with its open fire, mock lounge and dining room and cosy homely feel celebrates all that's good about booze on a daily basis with an extensive selection of drinks boasting 10 draughts, 63 bottled beers from Trappist to fruit beers and not forgetting the 'to-die-for' cocktails. The walls are adorned with classic LPs, quirky art and old photos and shelves are stacked with retro rammel and music related bric-a-brac. The atmosphere is fun and you won't find a single inch of attitude, instead you'll be welcomed, offered hearty fodder, great drinks and be lucky to escape a visit without the obligatory shot of chilled Jager! Our laid-back bar is a more eclectic home-from-home, where you can eat delicious home-made Sheffield snap and listen to good music while chit-chatting to like minded spirits over quality booze well into the late hours. The vibe is anything goes. 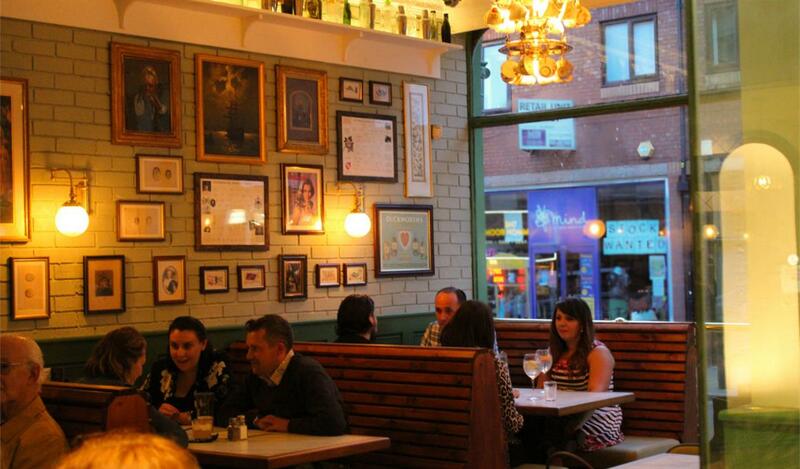 No pretence, just good drinks, good food and nice people.